New Order performed for the first time in Glasgow at Eglinton Toll Plaza in January 1981. 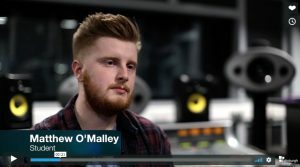 They would release their first single ‘Ceremony’ two months later and their debut album ‘Movement’ would appear in November of that year. They would perform at Glasgow Tiffany’s in April 1983 to promote the release of their next album, ‘Power, Corruption & Lies’. By the time of the Tiffany’s gig New Order had arrived, distinctively different form the Plaza show. Included in that set was ‘Blue Monday’, ‘Temptation’ and ‘Confusion’ which would be produced by Arthur Baker who had also produced the Kraftwerk influenced ‘Planet Rock’ by Afrika Bambaataa. 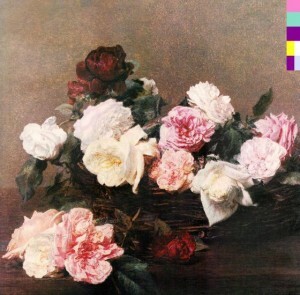 ‘Power, Corruption & Lies’ is a beautiful record from the sleeve design by Peter Saville, to the songs and the production by New Order (Bernard Sumner and Peter Hook had watched and learned from Martin Hannett). The title of the album was chosen by Bernard Sumner from a 1981 conceptual art exhibition in Cologne, Germany. On the opening night of the exhibition the artist Gerhard Richter vandalised the exterior of the Kunsthalle by spray painting the text, “Power, Corruption, and Lies. Still seems a very apt title given today’s political climate. New Order creates it! FEAST rates it!